Interestingly, while many Hispanic countries use a similar mouse, his methods vary. For example, children in Argentina don’t put their teeth under their pillow, but in a glass of water. 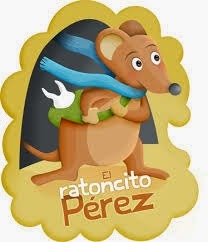 It seems that little Perez gets thirsty and the children are putting a drink out for him.